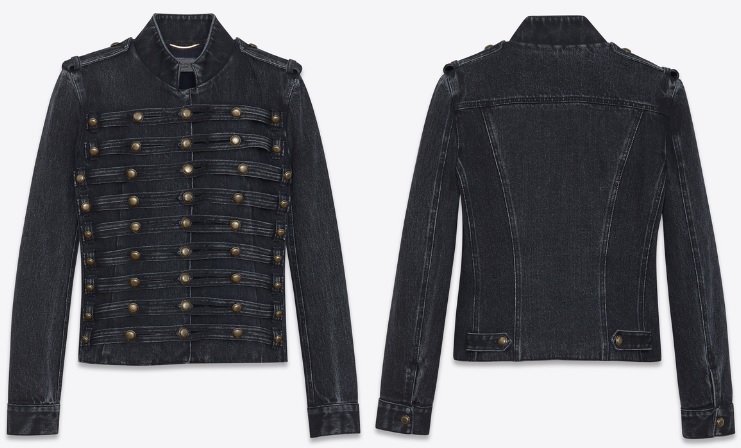 This denim jacket from Saint Laurent is with officer tabs on the shoulders, featuring a high neck with nine rows of five officer buttons. This denim jacket can be found at the Saint Laurent website. If you enjoy denim jackets, you may also enjoy more options from Saint Laurent. You can shop for Saint Luarent denim jackets at the YSL.com website.